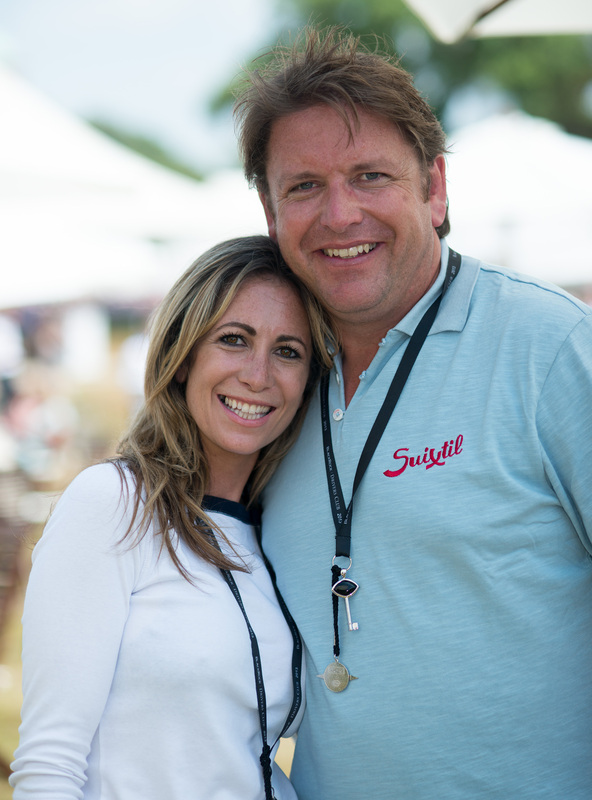 James Martin and his partner of seven years, Louise Davies, have been together for seven years, and now, he's commented on speculation that the pair won't be tying the knot any time soon. Appearing to respond to an article currently circulating online, the popular chef dismissed claims made about his ideas of marriage with his partner. In the article, James allegedly revealed that he isn’t keen on a big, lavish wedding day if he and Louise do ever get married – mainly because of the extravagant cost. He said, “No, it doesn’t interest me in the slightest, mainly because I’ve catered for so many weddings, really. Instead, James reportedly confessed that he’d far rather spend his hard-earned money on his cars – one of his biggest passions in life. In fact, he owns a few vintage motors – including a 1948 Maserati, a vintage Chevrolet, and two former Formula One cars. James Martin also allegedly opened up about the possibility of kids with his PR professional girlfriend – firmly confirming that it’s not something that is in their future. He is reported to have said, “I go round to my mate’s house, who has four kids, and realise that I don’t want them after about two minutes.